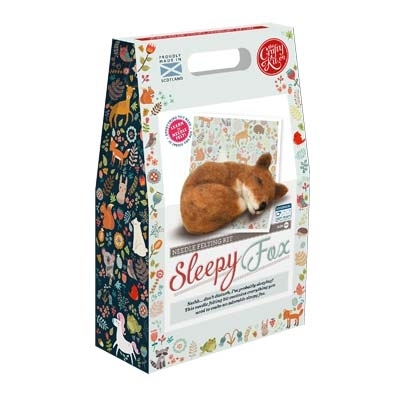 New from the Crafty Kit Company, these needle felting kits contain everything you need to create a beautiful and realistic sleeping animal. You'll learn how to make a the basic shapes, then build them up with felting wool, and finally add the details that will really bring your creation to life. Each kit comes with all the felting wool you need, a tube with 3 felting needles, glass eyes, pipe cleaners, a mat to work on and clear step by step instructions. Finished object will measure approximately 18cm long.